I’m probably not doing myself any favours here, and SEAT may not thank me for saying it but SEAT Leons of old never really floated my boat. There, I said it. 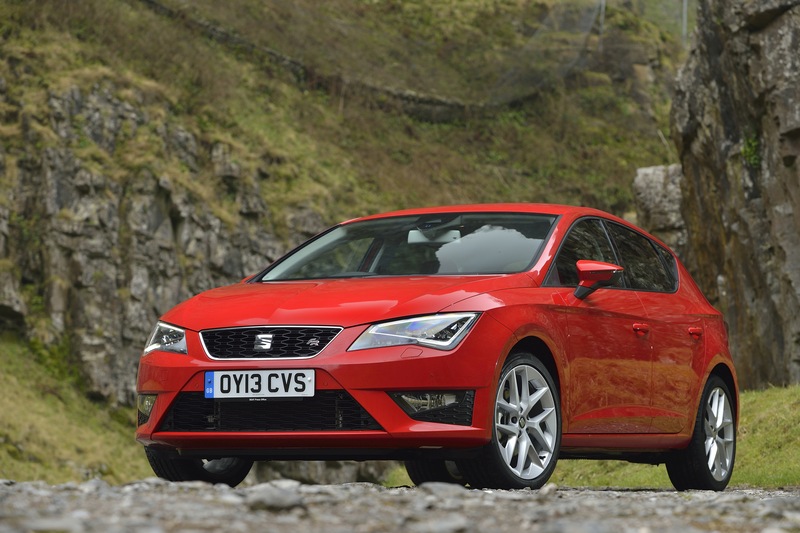 Liam Bird considers whether SEAT’s latest third generation Leon is a more appealing all-rounder. It was their styling that did it. I was fully aware that beneath the body of the first generation Leon lay most of the same mechanical parts as the Golf Mk IV, a car at the time I was a huge fan of. I also knew that the second generation Leon was underpinned by the same oily bits as the Mk V Golf: I bought one of those. I also knew Leons were well built, practical and cheaper than Golfs too. But somehow there was something about them visually that didn’t do it for me. To me the early cars appeared, in profile at least, to have been sketched too close the edge of the paper. Let me explain. Everything was okay up front but the rear of the car seemed to have been cut off far too bluntly. It was almost as if there simply wasn’t enough space on the designer’s pad when it came to sorting the boot out. As for the second generation Leon, well, surely I’m not the only one who thought it looked like a giant jelly mould am I? Then of course, there was the way they used to ride. SEAT always said they were the young and sporty arm of VW’s multi-brand armada but did they really have to make the Leon quite so hard? However, having recently acquainted myself with the all-new Leon, not only have I found that it drives rather nicely, and rides very well, I also think it’s a bit of a looker too. As was the case with its predecessors the new Leon shares its chassis once again with Volkswagen’s Golf, Skoda’s Octavia and Audi’s A3. Now though that chassis is the rather clever MQB (that roughly translates as modular transverse architecture) which means not only does the new Leon have a wider track, it’s also 90kg lighter than the car it replaces. That all translates to make the Leon feel lighter on its feet (or should that be wheels?) and also more fuel efficient too. It also produces less carbon dioxide, so now even the FR 150PS falls in to VED band B.
It’s that sporty FR that I spent the most time with. SEAT will give us a 180PS version of the FR with a petrol engine as well as a 184PS edition of this diesel, but I’d argue the 150PS FR is by no means a lesser alternative. Should you require a self-shifter, the 150PS model can also be specified with a DSG automated gearbox. Despite not having quite the punch of the higher powered car, the combination of performance and day-to-day usability in the FR seems very well judged. The 2.0-litre TDI engine does become a little vocal when shown the upper reaches of its rev range but for the most part, thanks to a smooth shifting six speed gearbox, the Leon proves to be quite a relaxed cruiser. With the promise of up to 68.9mpg, its economy is worthy of note too. It’s also comfy – perhaps the best riding SEAT of them all – well appointed and nicely screwed together. Slip inside, and the FR’s multi-function steering wheel will be familiar to anyone who’s driven an Audi in the last few years and VW owners too will immediately feel at home with the interior’s layout and most of the minor switchgear. Ultimately, it’s a cabin that could be described as slightly sober in its appearance but the FR on test came complete with optional Alcantara-backed seats that hug you in all the right places and help add an air of quality. Also, their red stitching makes you reminisce over hot-hatches of old. Sadly though there’s no red seatbelts. Would that have been a retro step to far? Bang up to date though, are the Leon’s headlamps. They’re full LED making the Leon the first car in its class to be fitted with such technology. 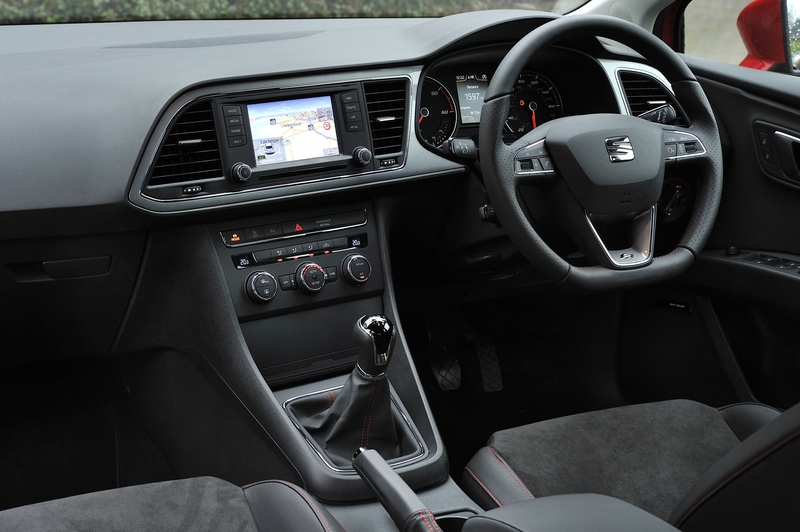 Compared to its predecessors SEAT’s new Leon is giant leap forward. It’s more spacious, more comfortable, more refined and more economical to boot. 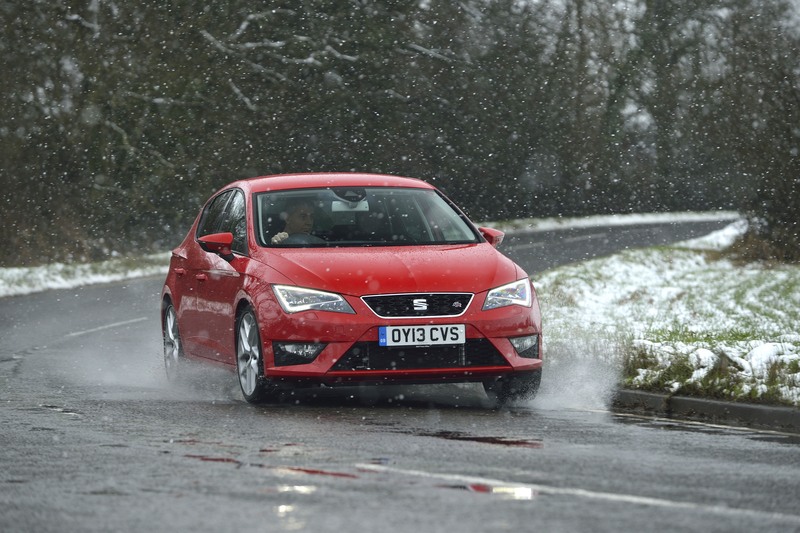 Plus SEAT have also managed to make it feel much more of a mature car whilst also retaining their sporty, youthful edge as well. Suddenly SEAT’s Leon has become a lot more attractive. 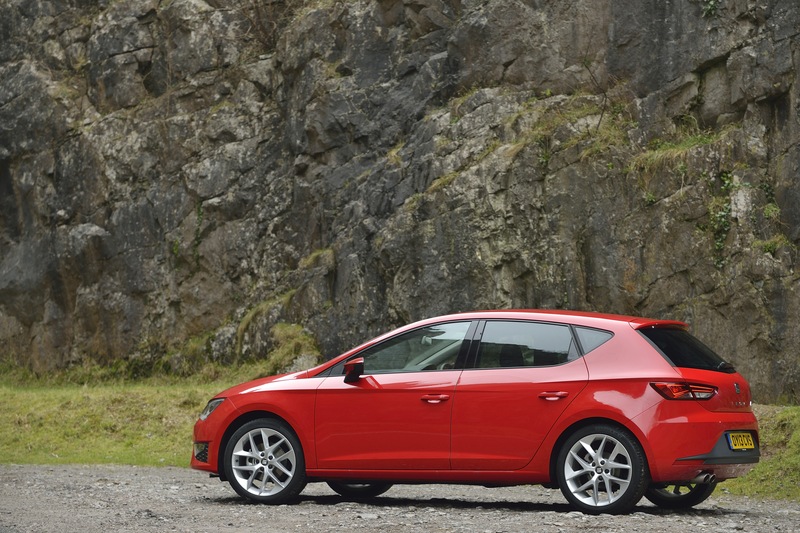 SEAT’s Leon range starts at £15,670 for the S 1.2 TSI rising to £22,635 for the FR 2.0 TDI 150 DSG. Did you like this article? Why not share it with your friends using the buttons below.